Today, I want to give you a taste of a coaching call with me. I offer group coaching calls inside my Homeschool with Waldorf mentorship community. We meet once a month for community members to bring their questions and get in-depth answers to their unique homeschooling situation. It’s a very dynamic time and I just LOVE bringing my passion and support to these amazing home educators! 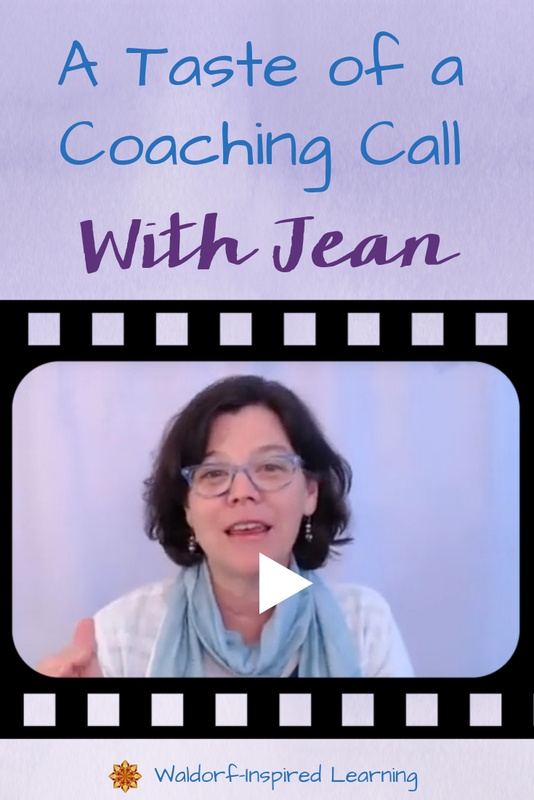 So here’s a taste of a coaching call with Jean! Honestly, I love what I do and how this community is coming together. Just a few hours left to get your BONUSES when you join the community, Homeschool with Waldorf. Come get the training and support you need to keep your Waldorf homeschooling sustainable. With a new Masterclass, Plan Along, and Coaching Call every month. 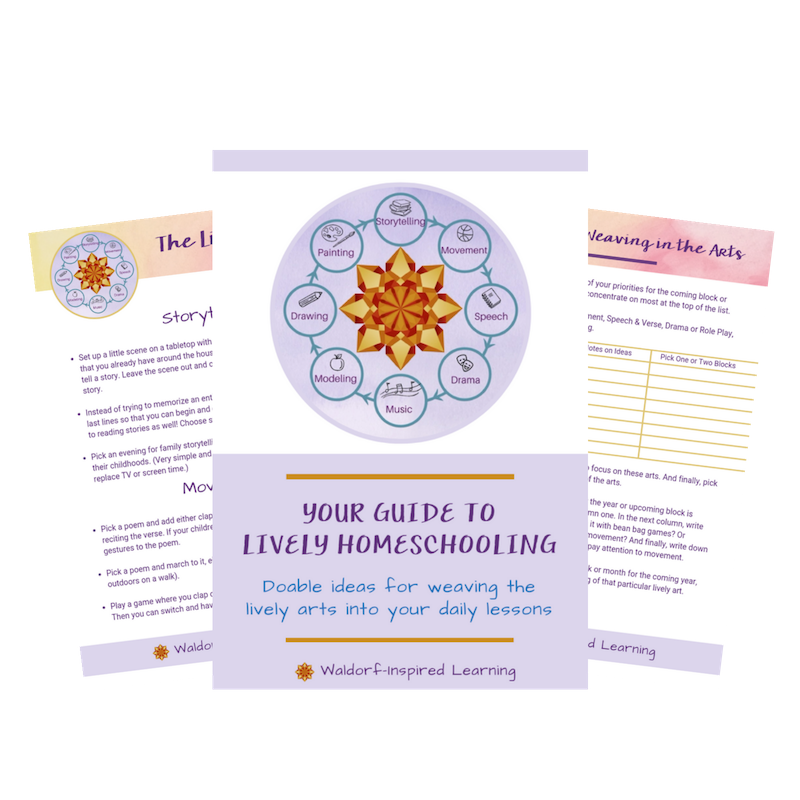 When you join by January 31st (that’s TODAY), you also get my Waldorf Homeschooling Simplified guidebook, a Jump Start Coaching Call the first week of February, and a Playlist of Songs for Mealtimes and More. And if you join as an annual member, you also get my Plan It Out program as an additional BONUS. If you have questions, please leave a comment as I’m ready to help and answer! Essentials of Waldorf Early Childhood Education by Susan Howard (scroll down to page 6), an article from Gateways: a Newsletter of the Waldorf Early Childhood Association of North America that you can find for free online at the Online Waldorf Library.